Thank you for stopping by my Blog. For those of you that are reading my blog for the first time, I’ll give you a little bit of info. about me. I am married, and have one adult daughter, a step-daughter that is almost 18, a yellow Labrador Retriever that loves to eat, and a long-haired princess kitty named Jinxy. When I first started making jewelry, I would spread out what I was working on, usually on my bed and Jinxy would lay and watch. I have always called her my helper, but in all reality she just waits for any opportunity that she sees, to steal anything that is shiny or if it’s plastic, she likes to chew stuff up. Fortunately, my theme is Cameos and Jinxy can’t chew them. I am so appreciative to our Blog Hop and Master Class Instructor, Brenda Sue Lansdowne, the owner of B’Sue’s Boutique, which is where I buy all of my brass stampings, and anything else that I need in order to make my jewelry, for offering this class and being so willing to share her wealth of knowledge. Since class began on January 5th, she has been unknowingly to us, steering each of us into the direction of not only learning what our style is when it comes to jewelry, but she has been having us take a good hard, long look, at who we are. Who am I? I have always been involved in one form of art or another my entire life. I was in choir all through school and after was in a semi-professional group for a bit. Then life changed as it usually does when I had my daughter. During the years I was married to her father I took a few college classes here and there, English Literature, Children’s Lit, Writing for Children. I took Art classes too, drawing and paint. I even worked for a collectibles company and hand-painted figurines while my daughter was young. I worked in car sales, then as a Licensed Realtor and worked in the Classifieds department of a big newspaper here in Michigan. After my daughter’s father and I separated, I went back to school at age 40. Sounds horrible doesn’t it, not really, it was hard though because I was still trying to find out who I was, and I met my husband whom was extremely understanding when I had a lot of homework, and has been my rock while I have had to deal with medical issues that forced me to stop school and working, just shy of an MBA in Marketing. So, what have I learned? A Lot, especially about myself. I’m stronger than I thought I was. I’m not afraid to go down the stairs like my dog, Bailey. I have not narrowed down my style completely, but I’m guessing B’Sue will have a special way of showing each of us how to discover it before this class is done. I am certain, I’ll have more to show you all then. Below is a list of all of the participants in the B’Sue Boutique’s Build A Line Challenge, which I am taking part in. I hope you’ll join me and visit my friends and classmates too. The hops are all on Fridays for the 2016 class. Brenda Sue is our instructor/mentor and I just love her dearly for all of the help she has given me and I hope that I can show my appreciation in return some day (soon, I hope). Hey Shari – great post! I loved learning about who you are. Thank you for sharing with us! I think it’s inspiring how you’ve faced hardship, and you’ve kept going. You always seem like such a positive person. That picture of your poor dog is so appropriate – now our class motto needs to be “Don’t be like Bailey!” We should never be afraid to go down the stairs, maybe just a little cautious. Can’t WAIT to see your line! OMG! I fell inlove with Jinxy at first sight!! I love reading your blog post and cameo as your theme made me excited to see your future blog post. I enjoyed your blog Shari. I admire your focus and determination to do what you want to accomplish despite challenges. That is what it takes. Just keep moving forward!!! The class is amazing is it not? I am happy you are with us. I enjoyed reading your story, and look forward to everything you create in class. Your cameos are so pretty, I know you’ll come up with something fabulous! I admire your spirit of wanting to learn. What a great accomplishment to get as far as you did with your degree! i look forward to learning with you and seeing all that your accomplish for yourself through this experience. I have a love of cameos as well! They are romantic yet can be so modern! These should be fun, Miss Shari! Keep us posted. Will be interested to see you treatment of these. So many beautiful cameos. I’m sure you will create something fabulous! Thanks for sharing with us Shari! Jinxy makes me smile and laugh. She is much like my little troublemakers. The newest of mine now shreds up paper towel rolls and toilet paper. I think your idea for doing cameos as a line is pretty cool. I have never seen a cameo line. Will there be more cat cameos? I know I really liked those pieces that you came up with so far. I guess I will have to wait and see! Whatever you do, I’m sure it will be awesome! You have had a long path to get you to where you are. It is inspiring. Like you, I have been a restless sort of person. I was always involved in the arts, but I was told that art was not lucrative, and I needed to focus on a “real” profession. Here I am now with more degrees than a thermometer – doing art, (and no I don’t have any arts degrees). You can do whatever you set your mind to, whether it is building a line of jewelry or going back to school – you don’t need to be afraid of the stairs like Bailey. You ARE stronger than that. I think learning is very important for everyone – no matter your age! 40 is nothing, I have met women in their 60’s going back to school for degrees. Their kids were all grown up and they wanted to take their life in a new direction. There is absolutely nothing wrong with that! If you want it – go for it, don’t let anything hold you back – you are worth following your dreams! Thank you Diana, for all of your words of encouragement. Finding jewelry making has truly been a life savor for me. When all of my medical problems started I was very depressed and felt like a burden to my family and somedays I still do. I can’t drive anymore, so I am constantly having to rely on my husband or my daughter to take me to where I need to go, whether its a doctor appointment or just grocery shopping. Making jewelry has given me a new purpose/goal and on the days when the pain is bad, jewelry is my reason to force myself to get up in the morning. Great blog and nice to share your story. Love the cameo theme and look forward to seeing your line of jewelry. Thank you so much for visiting Janet. I wouldn’t bet that Jinxy won’t help herself to a cameo here or there! Oh yes, she will try, but I have everything stored in containers now and I do most of my work on my dining room table and she’s too chubby to jump up on the table. Plus she knows tables and counters are no, no’s. But if I forget to put the lid on one of the containers and if its sitting on the floor she will very quietly reach in and grab a plastic bag…lol. That’s a great theme Shari! Looking forward to what your line becomes! Thank you so much for visiting Karen. I appreciate your support. I am learning a lot. Thank you so much for visiting Val. I appreciate your support. I love cameos too, especially the old ones. So I’m leaning towards seeing if I can make the new ones look old. We’ll see how this goes. I almost went with cameos for my theme, I really like them. I’m looking forward to seeing your line. Also, thank you for what you say in class. Many time it is what I wanted to say. Enjoy creating..
No need for thanking me on asking questions…remember, there are no dumb questions. Sometimes I don’t understand something based on the way it was said, so usually someone will word it differently and then my lightbulb turns on. Great blog post and I can’t wait to see what you come up with. Also, I LOVE that you use large photos. Good job! Thank you Renee. I really can’t take credit for the size of my pictures. I just take the pics with my phone and PicMonkey does the rest for cropping, etc. I’m not real techy, so I actually don’t know how to change the photo sizes. Looks great Shari and love the cameo theme. Cant miss with that. 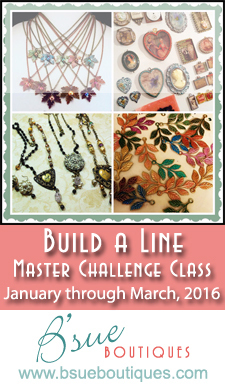 Look forward to seeing your jewelry creations. I hope you’re right Irene. I really hoping to increase sales in my shop. Great introduction on your blog. Excited to see where you go with your line! Thank you so much for visiting Sue. I really appreciate the support. Thanks for sharing your journey with us. I took the exact same classes as you. English, children’s lit etc. How cool to know we share so many interests! I loved your blog, and your theme of Cameos is a great idea. I can’t wait to see what you make! Thanks Chris, its funny but I knew we were becoming friends when you, me, and Kristy were up in the middle of the night and talking about chickens…lol. I did buy 2 of those roosters, but still have no idea of what I’m going to do with them. Thank you so much for visiting Alison. I love cameos too, but still trying to work out my design style. ::Toby waves to Jinxy:: Loved your post, Shari, and learning more about you. Using cameos as a theme is a great idea, and I’m looking forward to seeing your beautiful creations with them. Great to be in the BALC with you! I’m so happy to be in class with you too. Your work is an inspiration for me, so I’m really hoping I can learn a lot from Brenda, but also you and the rest of the very talented Artists in this class. Shari, I like cameos allot so will look forward to seeing what you will create with them. It was a very nice and informative post. Thank you so much for visiting Elisabeth. I’m looking forward to see what I’m going to do with the cameos too. I’m still trying to figure out my style. Shari, thank you so much for sharing your story. I think your choice of theme is just great – after all, who doesn’t like cameos??? I look forward to seeing what you create, and also look forward to working with you in the class and getting to know you better. Cheers! I’m looking forward to getting to know you better too. I’m still undecided as to what I am going to do with the cameos. I have lots of ideas, but need to narrow them down. Fortunately, I really stocked up on the cameos, so I have extra If I mess something up. Shari, so glad you took the leap to join the class. I liked reading your story, and I’m excited about the theme you’very chosen. I know you’received going to come out on the other side, with great success! Thank you so much for visiting Marcia. I am so happy to be in class with you and all of the other awesome artists. I really hope to create a truly awesome line that will help me create more sales. Looking good Shari .. it’s going to be a fun adventure .. love your cabs .. Thank you so much for visiting Jann. This class is definitely an adventure and I’m happy to be in it with you and all of the other fantastic artists. Shari, I admire your strength and determination. Your theme choice is perfect. Everyone loves cameos. I look forward to see what you create. Thank you Ginger. I appreciate the support I have gotten from everyone in our class and I’m happy to be sharing it with you. Shari, it sounds like you are one strong lady. I am glad to be in class with you and cannot wait to see your jewelry. Also I really like your peachy background color here, I find it both cheery and soothing . Thank you Jeanette. I love the peachy color too. I am really happy to be sharing this amazing journey with you. Tell little Jinxy to keep her paws off of those cameos! I want to see what you do with them. Your blog is beautiful, Shari and I am enjoying being part of this adventure with you. I’m certain the things which you make will be beautiful. Thank you Christine, I believe in Brenda and am taking everything she has said into account and trying to figure out how to apply what I’ve learned and am still learning. I have ideas for my cameos, but nothing actually decided completely yet. And don’t worry, my cameos are being kept very far away from Jinxy’s big paws. Thank you Susan, it is an honor to be in this class with you. I’m still uncertain of what I am going to do with the cameos, but as I learn more in class, I should be able to narrow it down.